Start of winter cropping... One thing that's really challenging (and wonderful) in a Cape Town context is that there's always something you could be planting, so planning bed rotations for the year becomes really complex. I'm trying to think of ways to grow a large winter garden because we don't have to irrigate from May-September, provided the rain comes. I like David the Good's approach to composting a lot-- i.e. compost everything! Actually, about David the Good: I love his videos, I think his take on gardening is interesting and helpful. Also: He supports Trump?!?!! And seems to have such a different perspective on many things I value. My conclusion, abbreviated: We must be reading very different things and converse with very different people-- our experience of the world is very different and somehow, this has led us to profoundly different sets of conclusions on some things... yet a lot of similarities in our day to day life, I suspect. I find it so interesting that someone I admire so much online is occupying such a different world. So my vague sense from this is that we should try to be kind to the people around us, and try to keep writing and spreading an inclusive type of kindness, with the knowledge that our vision is super limited so... don't be too dogmatic (this is not to be confused with me saying that Trump is ok). There's so much out there we don't see or imagine. If you don't have a lot of space, vermicomposting is brilliant and effective for kitchen scraps, and you can't really beat vermicastings in terms of quality of compost. 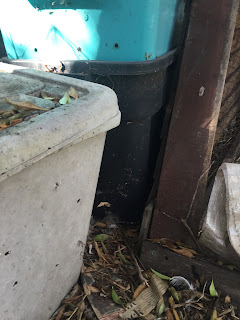 That said, if you have a household with more than a couple of people and eat at home most of the time, the quantity of compost can quickly overwhelm your worms (and even kill them, or attract rats). In our experience, it's a good idea to be persistent (get through the fruit fly stage! ), it's also a good idea to scale up gradually. 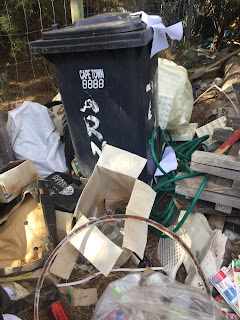 In terms of the quantity of compost you get out, I think vermicomposting requires a lot of patience relative to other kinds of compost-- as in two years of patience. I often wonder if people know that going in, if they'll be more willing to weather the fly times and the rat times. When we were still a family of four, we already needed a MASSIVE (240L) bin. So, worm composting is the absolute best option for kitchen scraps in a household that doesn't have chickens, and that needs small amounts of very high quality compost (I know there are also large scale applications, but I have less experience with those). The very unromantic reality of our largest worm bin. As you can tell our minimalist dreams have given way to hoarding cardboard and seed trays... While our municipal bin is totally a pain to harvest from, because of its size it's also extremely resilient and a great source of worms if we're having any trouble with our other bins. And we do also harvest castings, as the worms are well established. These are the classic tote bins with holes drilled in them-- I'd recommend these for most households, you can always just add a new layer if necessary (looking back, adding many totes is probably better than getting a really huge bin like we did). We have five totes-- 3 for regular farms and two just for cat litter. These are the two bathtubs on the border of our property, under some trees. They're a bit further away from the house, so it's harder to care for them. But they're large and I think over time they'll be an integral part of our household. I made the mistake of feeding them spent brewing grain, which very quickly got extremely dry and hot... so we're building up again after that mistake! You can see that at the moment, because of the pig and everything else eating our scraps, the worms mainly live on newspaper. We don't have enough to feed all of them, so I feed them manure at times, and have two bins where I take compost out fairly regularly, whereas I leave the two bathtubs alone right now. I have one bin that is just for cat litter, and I will never harvest from that: it's just so that we don't throw cat poop in the trash. 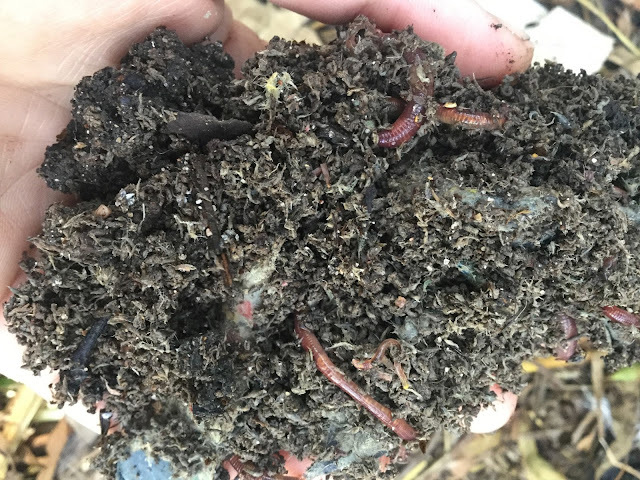 Worm composting is a kind of cold composting, so it's not a good idea to compost things where you're very worried about pathogens, unless you're never going to harvest from that bin. 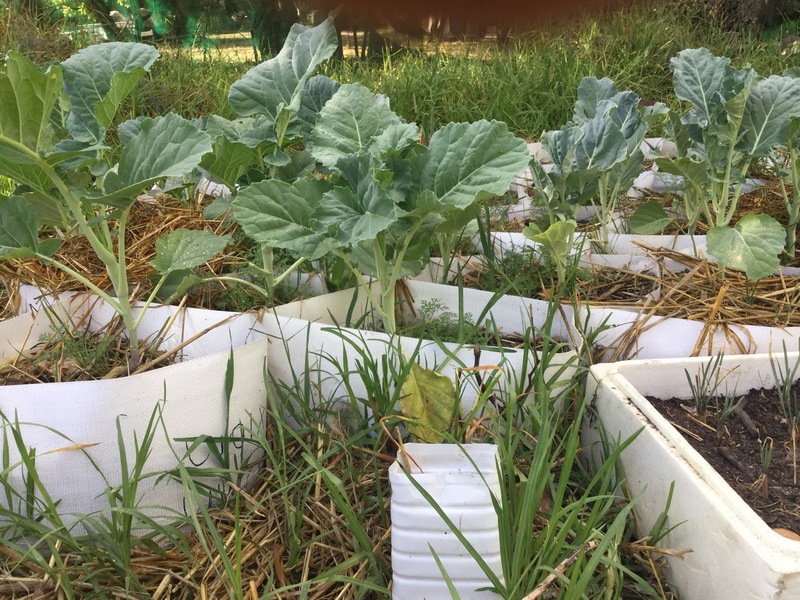 In a drought situation, vermicastings are truly phenomenal for increasing the water holding capacity of small volumes of soil (i.e. if you doing row gardening, it'll make less of a difference), particularly if you're gardening in raised beds or containers. Generally, vermicastings tend to be bacteria-dominated, which means that it is great for vegetables. Our humanure compost gets very hot, but as a failsafe we also leave it for one year so that the pathogen cycles are broken. The issue with this is that the volume of compost is much less than it would be if we did a rapid cycle of hot composting. So sometimes this is a bit sad because a year's worth of humanure for five people, mixed with a huge amount of straw, ends up being just enough (fairly phenomenal) input for a few fruit trees. So it's not a huge quantity, but it's going to have a compounding effect over the years. The rapid hot composting style is great for vegetables and in contexts where you are starting out with a low volume of organic matter in the soil (like our very sandy, drought-stricken environment). You do need some space to build the pile and turn it. 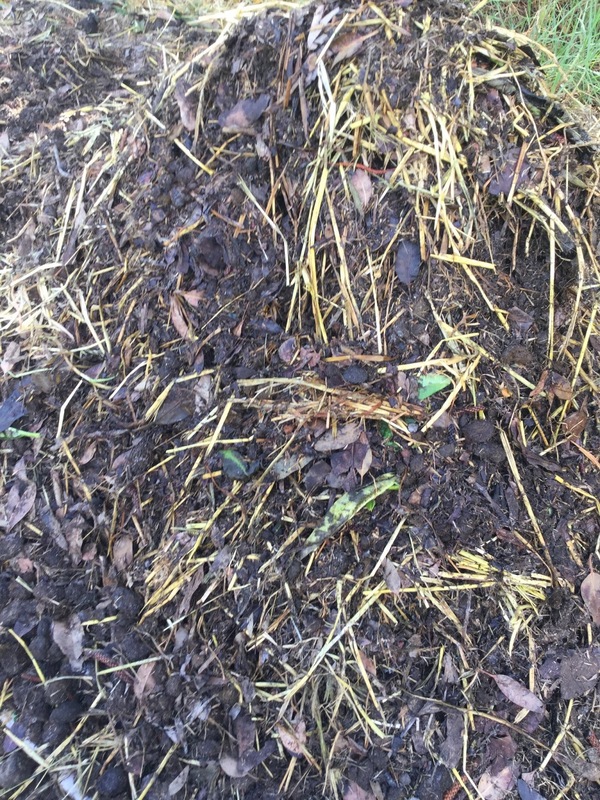 When I need to renew a vegetable bed (or if I have a sudden flux of leaves, to balance my regular deliveries of manure), or have some energy, it's fast, you get good compost, and you get a good volume of organic matter. And horse manure, which usually can't be helpful to my vegetables in the short term, is ready to go into the garden in just 18 days (versus the year I usually wait otherwise). This is day 8 of the current pile, and it's already starting to look really dark and crumbly-- 10 more days (5 more turns!) to go. 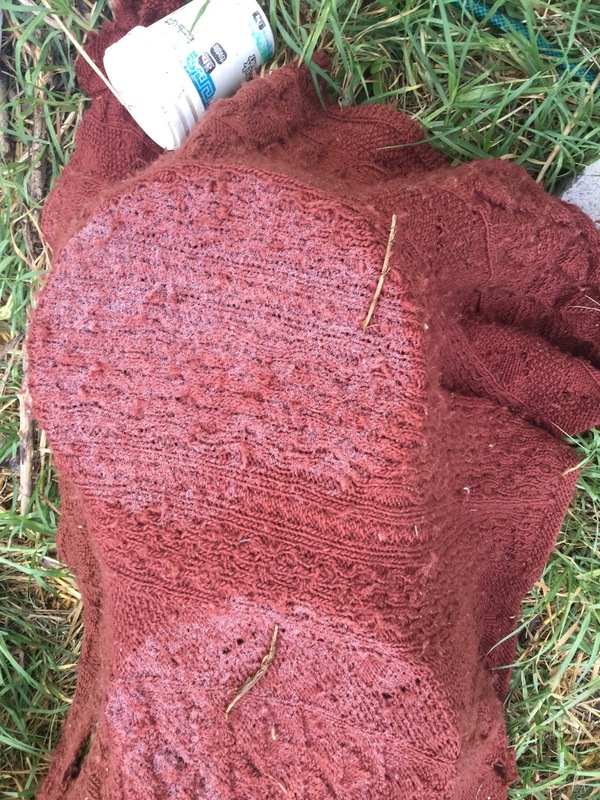 Every week, I dump two bags of horse manure, 2 bags of alpaca manure, and two bags of straw into the chicken coop. The chickens free range on about 1/4 of the property, so we given them a specific set of the manure inputs for them to work through. I put their mixed up manure-sortof-compost directly onto the bottom of raised beds, and directly around fruit trees. It's not exactly compost, but it's not raw manure either, and it seems like a great way to get a few wheelbarrow loads of compost-like-stuff every week or two. 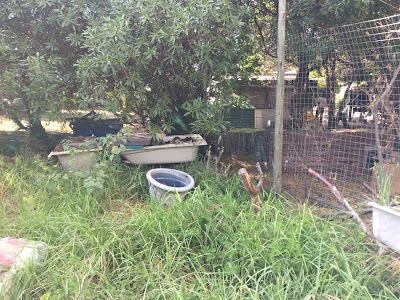 In the long term, I'm hoping that chickens and ducks will do a lot of our composting in place, and that we can find a way to make composting for the annual garden simple, and routine (and not involve a lot of energy). The ducks roam around our house, so we have a lot of straw around our house to mitigate the effect of their pooping. I collect the soil around our house when I'm potting up trees or making seedling mix (I have get trees and shrubs pretty big before they get planted out... ). Duck poop is fine going directly into seedling mix, and I've had good success using a mixture of coconut coir and soil from around the house as seeding mix. 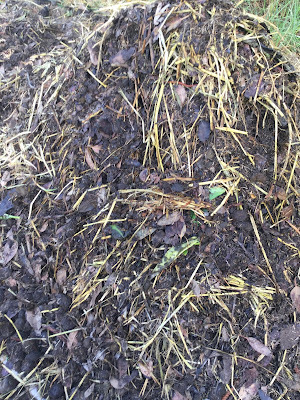 I put horse manure and straw directly around trees: no composting. Not right up against the trunk, and I don't dig it in. Basically, I'm trying to increase water holding around trees-- but I actually need to do a lot more to fertilize our trees. We have a lot of fruit trees now and it is pretty hard to keep up. I also put the guinea pig's bedding directly around a tree. This style of composting is slow and dominated by fungal action, which is beneficial for the trees. The danger of this is that persistent herbicides have been put into the straw-- either the straw eaten by the horse, or to the straw that I recycle from another household. I suspect that this has, at times, caused weird leaf things to happen in my vegetable garden, and so I'm hoping gradually I'll be applying horse manure further from trees roots, and not applying it to our vegetable garden at all. For now, the benefits of bringing in 200-300kg of free organic matter each week is pretty significant. To my family's horror, I have smelly buckets of seaweed soaking in water around and about. I'm using this primarily, diluted 1:10, for our vegetables. It has to be covered to make sure mosquitoes aren't laying eggs in there, and it is pretty gross. I'm hoping I can gradually scale up to the point where I'm providing seaweed fertilizer to all our trees, as well. I basically get a 25L bucket of seaweed every trip to the beach-- 1 to 2 times a week. I'm not systematic about it, but over time, like everything, it adds up. I generally wash the seaweed in sea water at the beach to remove any sea creatures/sand. At our farm, I only rinse the seaweed if I'm adding it directly to vegetable garden beds. Otherwise, I just add water and let it sit. 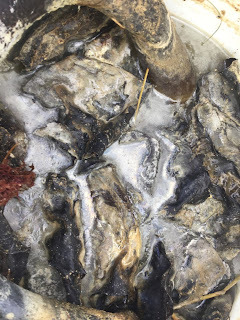 The core idea of KNF, as far as I can understand, is that you try to inoculate large volumes of compost with beneficial fungi and bacteria. There fermentation happening (as with soaking seaweed). I'm not being terribly scientific about it as yet, and I'm not going to specifically use precious rice to multiply out bacteria (unlike in Korea, we never have leftover rice! ), but I'm attempting to multiply out my sourdough starter with fruit peels and other stuff. The thing I'm getting out of learning about KNF is thinking through options that provide rapid, cheap accessibility of nutrients (unlike most of my compost that is more like mulch with benefits). I'm still early on in understanding it, but it's an interesting approach in a very different climate (though they're also into it in Hawai'i, which is also different from Cape Town but shows that some of the principals must transfer). Also, KNF has a cult-like figure at the center of it, so I'm only into it a little bit. I tend to be suspicious when one approach seems to self-assured and confident. There is just too much we cannot know. This is the only input that I've purchased in terms of fertility. I bought in bulk, and I give a cup per fruit tree (and a teaspoon per seedling) when I remember. I'm not systematic about it, but I'm hoping that over time it will help to provide important minerals to our relatively ancient soils. We have some chicken manure in places where our chickens roost, and previously I've just thrown that manure around trees, to let the nutrients gradually leach down to the tree. But as I see that the trees are needing more manure, I'm planning on soaking the chicken manure in water and giving it to the trees. As you can tell, even with just 1 acre (and actually most of our manure and composting is focused on less than 1/2 acre still) and a lot of animals to help, a lot of thought needs to go into the soil (especially in a non-ideal farming setting like sand or drought). I suspect in a few years, I will not have to put quite so much thought into composting. A lot of people swear by one style of composting, but I think there are lots of different ways to bring fertility into a space, and each philosophy seems to have benefits that depend a lot on compost and availability of scraps/manures/etc. Also, if you just do soil without thinking about sun, wind or water, things go wrong. I think I'm realising the importance of finding a lot of ways to get water to the soil, and protect plants from wind-- they're all connected and important. If you have the capacity to completely dig up your garden, bring in a truckload of compost/woodchips, and put a lot of plants/trees densely at the get go, permaculture blitz style, I'm gradually realising that dense planting of desired plants would actually decrease the need to compost somewhat. At our scale, and my level of inexperience/busy-ness at the start, we just couldn't put in enough plants all at once (though now, inspired by our nursery, I'm starting hundreds of plants at a time). I can definitely see why people just grab bags of N-P-K, as practicing all these different kinds of composting does take time and energy. Of things that I spend energy on, this seems like an investment rather than a sunk cost, and over time we see changes in the property and are able to grow things more easily. I don't think organic farming on 1 acre has to involve of complex composting, but I have found trying a bunch of different things, for different circumstances, appeals to me. Bringing in a lot of compost at the beginning of the farm's life will hopefully facilitate a tapering off later on. What kinds of composting are you trying? Change, growing lots of vegetables, planning my parents' house. Our street seems poised to change from primarily rural to... we're not quite sure what. So as a psychological exercise, I thought I'd write down some of my thoughts here. Our fears are rooted in the recognition that for all our dreaming, work and building, the day-to-day stuff we can't control-- whether we get in trouble for our crazy rooster and the building material constantly piling up, whether there's bike-killing traffic, whether your kids can safely go down the street-- can start to crowd out other stuff. We have neighbours who once farmed in other parts of Cape Town, and had to leave their farms because of safety -- and where daily theft forced them to stop farming, and that is also something that is on my mind. Change can feel as though the dreams we've cultivated are tenuous somehow, that they can be taken away quite rapidly. Which made me consider the dreams themselves. As we moved to the farm we stepped onto a particular path, not just into a particular space. The space seems deeply important-- not only our house but also our fruit trees and the work I've put into the soil. Yet what's perhaps surprising is the number of things we can take with us if we ever have to leave: we're learning and internalizing ideas and lessons about growing food, bringing up our kids, being sortof-off-grid. Year-to-year, there'll be more things that tie us to this place and there'll also be ways in which the land is giving to us gifts in the here and now, in which we don't have to worry about the future. A friend asked if I stopped blogging regularly because all our dreams of farming or unschooling or working at stuff we enjoyed were already fulfilled, and I was thinking about how it doesn't feel like that for me-- there's constant space for growth. * It feels like over the next ten or twenty years, we can continuously create a more beautiful productive space, but each year we learn stuff, and we change whether or not that beautiful space in my mind ultimately comes to be. And each year, there are things that do well and things that fail-- things that the kids love about being here, things that they don't love. Ultimately, this farm, and now the nursery, is under our stewardship for as long as it is given to us (we hope for a good long time-- don't worry mom! ), but I don't want to feel aggressively protective of it-- I want to hold on loosely, even if it goes against my controlling personality. Maybe that's where accumulation of property or money is particularly problematic-- they become markers that signal whether our lives are going well or poorly. In the long-term, I hope we can be progressively more radical in our understanding of growth, as these outward measures don't speak to growth in our ability to communicate, our ability to know our own heart, our ability to convey kindness, to relate to those close to us in a non-manipulative way. All these things are not things that we are born with, even if we are "kind", there are different kindnesses for different circumstances. 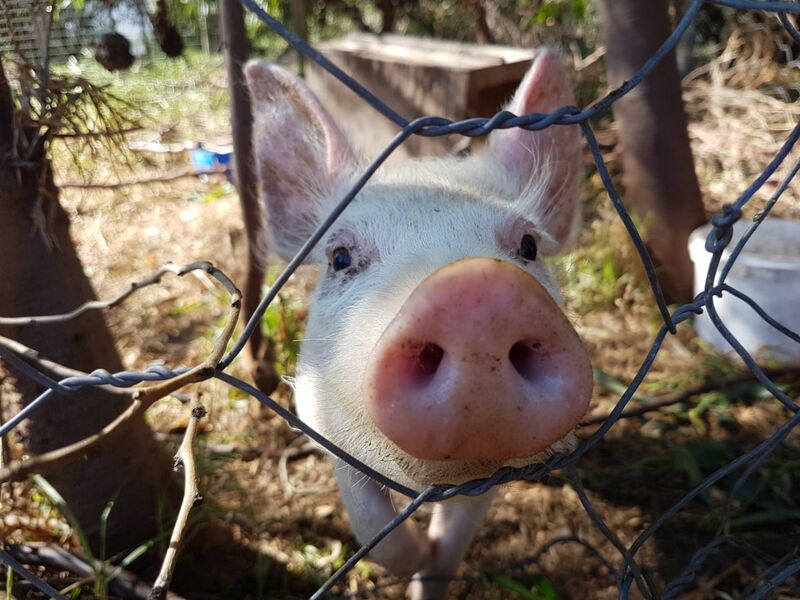 Pig is doing very well... and has a lot of character. These days, I spend a lot of my time thinking about vegetables. I've been growing vegetables-- at least a little bit-- since I started this blog ten or eleven years ago. For a while, I gardened on our fire escape in the summers in Boston-- probably in contravention of fire code. For a while in Observatory, Cape Town, I was all about urban gardening in a very small space. Then I got really discouraged about the difficulties of how little we produced. For the last two or so years, we've been on our 1-acre smallholding, but the first year or so I did very little vegetable gardening because our hugelbeds were not mature enough and our water access presented real challenges. This year, I've been thinking a lot about our own vegetable garden, as well as about two school vegetable gardens (one for a preschool, another for a primary school) and also about creating a market garden at our nursery. All in all, this has involved a lot of planning and a lot of gardening relative to previous years. Absolutely NOT all successful, but still, a lot of food produced. As with everything, gardening is an exercise in grappling with control-- doing what you can, knowing what is in the realm of possibility, and leaving some stuff alone. What I'm learning is that there are a lot of ways to garden successfully, and that just trying lots of different stuff, and being willing (and lets be honest, having the time, money and energy) to keep trying eventually leads you to good things. So it's just worth just trying. I re-read Fukuoka's work recently (and also went down the rabbit hole of Korean Natural Farming), and what struck me in re-reading was not the techniques, but the journey. I'm convinced by the idea of working with nature rather than against it, but I think the process of figuring that out for each space is actually quite winding and indirect. When I feel discouraged, as though growing on this scale is not efficient or that I kill too many plants, I think it's valuable to remember that most of the world's food is produced by smallholder farmers, on a very small amount of land. Large scale agriculture is what is inefficient and unsustainable. We often get fed a message that big farmers feed the world, but that is not true. While I don't really believe the average person can grow all their vegetables on a space the size of a door, just because a lot urban agriculture pinterest boards are not terribly realistic doesn't mean you can't grow a lot in a small space, over time, once you get to know your conditions and adapt to fit your circumstances. [I also think that it is meat and dairy-based diets that need larger farms, as this is where I have found it hardest, and most inefficient, to figure out how to be self-sufficient]. When I produce yucky tomatoes, I can cut the bad bits out, give them to the chickens or ducks or pig or worms, and eat the rest. When large scale farmers produces yucky tomatoes (and I'm convinced if you're gardening completely organically, you'll always have quite a lot of not-up-to-standard tomatoes) their options are much more limited, so the pressure to produce good looking tomatoes, at whatever environmental cost, is so much higher. On our farm, as I plan better for the future, I begin to see a way to produce all our vegetables and fruit and quite a few of our calorie crops pretty efficiently. Not all our calories, by any means, but a lot of food nevertheless, and we're creeping up calorie wise. At the school garden, suddenly it doesn't take much to produce all the greens needed for two schools for lunch for 160 kids, even if we can't produce a lot of other items just yet. With the weather cooling down, it feels like we finally emerged on the other side of a very hard summer. Some of our nursery stock died, some survived. On the other side, I've learned about cuttings. I even have a pair of secateurs in the car, in my bag, or even in my pocket, to whip out if someone has something nice sticking out over their fence... My kids are a mixture of embarrassed and totally into it. We're looking forward to having my parents living with us on the farm, hopefully later this year. After six months of waiting, we thought our building plans for my parents little house were close to being approved, but not yet. It's been a really long and painful process. So, you ask, will my parents house be off-grid? Will it be built with mud and hay? Sandbags? Tires?No, sadly none of the above. We did pursue the possibility of building with sandbags but we weren't successful -- the combination of expertise, availability, affordability and council approval is pretty challenging to get right. I hope if we ever build another structure, I hope it will be something exciting and fun (TIRES-- earthships-- are still my favourite), but this time around we feel ok about building small, but pretty conventionally. On being off-grid-- sortof. We'll going to have many of the things we have at our house that only increase our standard of living (consider this the definitive list of things that won't significantly impact on your happiness): (1) low-pressure Solar geyser (water heater) on the roof, (2) household water going out to greywater systems-- moringa trees and banana trees, hopefully, (3) rainwater tanks (4) composting bucket toilet. So I guess the main thing that isn't on there is our PV solar panels. Having those, rather than municipal electricity, does significantly impact our standard of living (no fridge or booster for the geyser on the roof, so sometimes no hot water) and we're pretty sure we're messing up our battery because in winter we sometimes want to use our computers at night. Anyway, I'm still really excited to be hopefully close to building my parents' house, and also to growing a lot of stuff on their corner of the property-- I haven't grown anything there because we knew their house would be coming, but once their house is up we'll be growing a lot more. *I slowed down blogging because I figure there's enough content out there on elimination communication (replace with any hippie topic), and I don't care enough to evangelize on any one life choice. I also decided around the same time that I didn't want to monetize the blog.